• Coarsely chop the peppers, tomatoes, apples and carrots. • Grind in a meat grinder or use your food processor. • Place in a big pot and cook, simmering and covered for an hour. • Add salt and garlic. Cook for another 15 minutes. 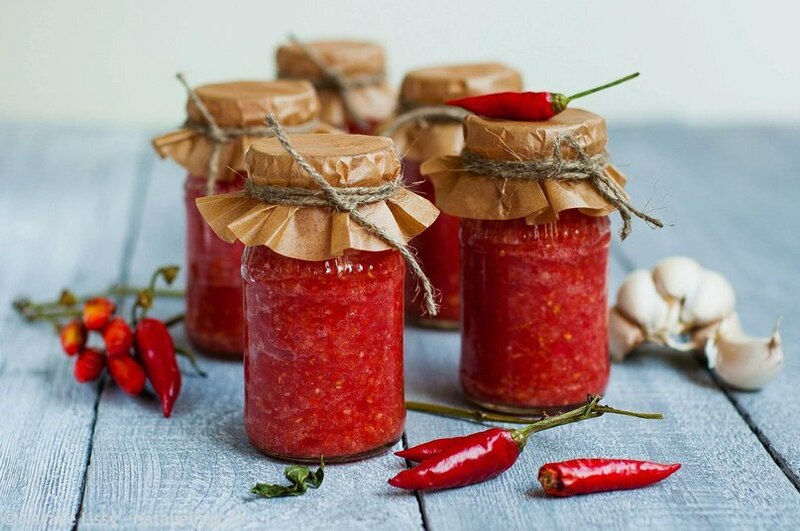 • Distribute the adzhika into clear jars and close with lids.